SchoolTV is a wellness resource available to our families. It provides independent information on topics such as youth anxiety, depression, self-harm, drugs, alcohol and cyberbullying. The ASC Academies provide students not only with opportunities to excel in their chosen sport, but also take part in some exciting events with their team mates. Ashdale offers a safe and stimulating environment, a high-quality education and effective preparation for adult life. Ashdale Secondary College, an Independent Public School in the Perth northern suburb of Darch, Western Australia, provides students with educational excellence, preparing them for a future of unlimited possibilities. Catering for students from Year 7 through to Year 12, our distinctive and innovative approach to education motivates them to strive to achieve their best. Our high standards are promoted within a values-rich environment, supporting students to realise their true potential, contact us today. With a focus on student engagement and wellbeing, we ensure that every student grows, becomes a lifelong learner and feels valued at all times. Staff, parents and the community are all partners of our students, assisting in building character, strengthening social values and enabling opportunity to achieve success. This is the strong platform upon which Ashdale Secondary College is built. We are a merit-select school, guaranteeing quality education and excellence. We have state-of-the-art facilities to inspire and engage our students. 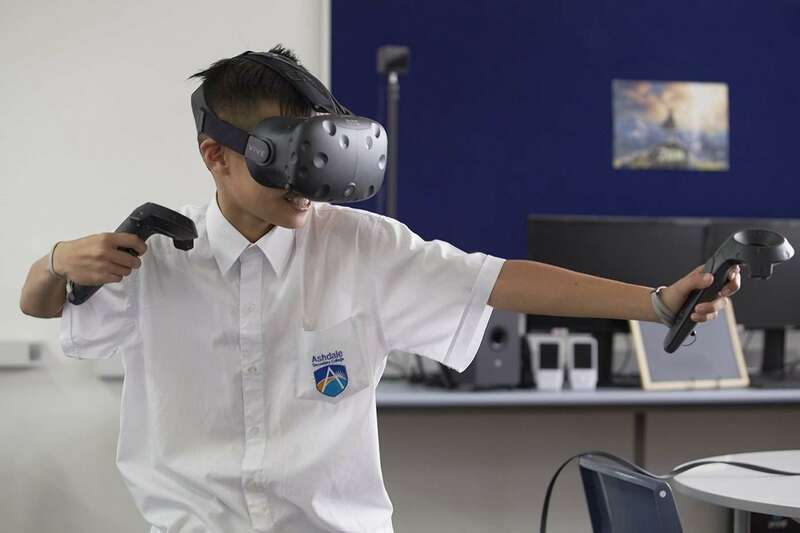 We are at the forefront of STEM (Science, Technology, Engineering and Mathematics) education with the Ashdale STEM Institute, promoting innovation and creativity. We offer an ICT (Information & Communications Technology) Specialist Program from Year 7, endorsed by the Department of Education. We are one of only two schools in Western Australia with fully equipped observation classrooms, allowing us to lead other schools in teacher reflective practice. 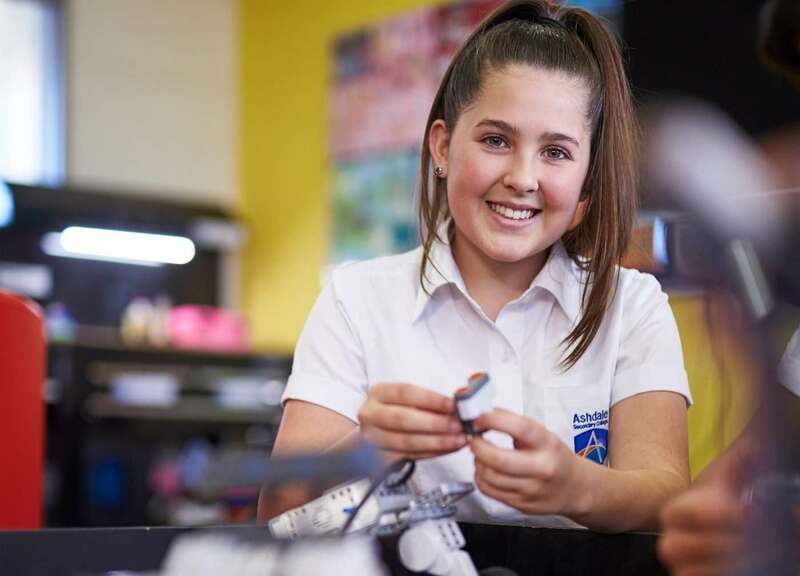 We are an award-winning school with high standards for both students and staff – Secondary School Leader of the Year; Beginning Teacher of the Year; Highest achieving VET School; ATAR achievement ranked 14th top Government school. We have formed the Ashdale Cluster with our local primary schools, providing a K-12 learning environment for all students. We promote inclusive schooling through one of five secondary Specialised Autism Learning Programs in Western Australia, as well as a Learning Enrichment Centre.